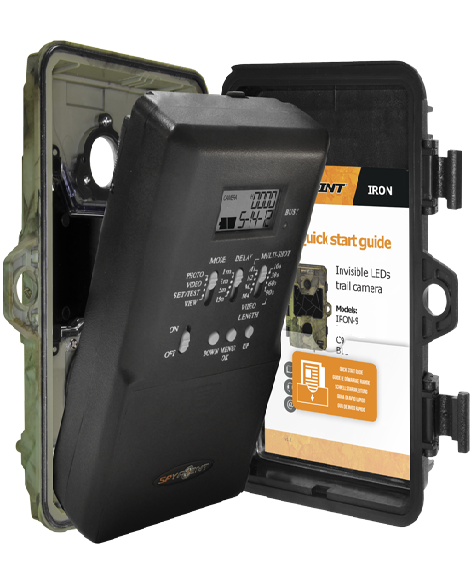 See our SpyPoint shop for full range of SpyPoint products. 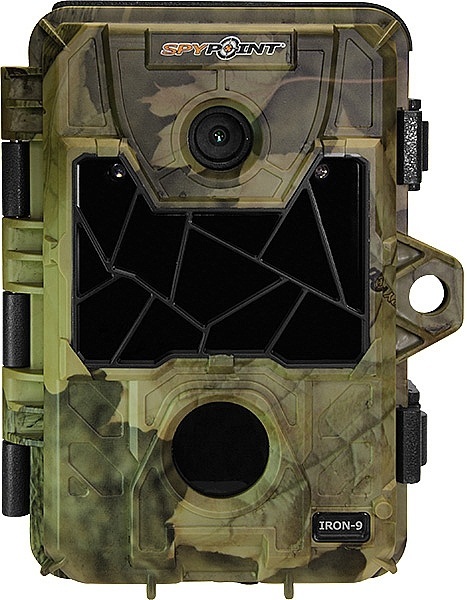 SpyPoint 9MP Iron-9 Trail Camera : The SPYPOINT IRON-9 captures 9-megapixel color photos by day and black-and-white by night and video with sound. The trial camera features 1 sensor for a total of 5 detection zones. The camera is versatile in design and offers detection sensor adjusted from 5ft to 65ft according to the need that is illuminated with 35 invisible LEDs. This camera uses high-power invisible LEDs which make it the perfect camera to avoid spooking game. The automatic infrared level adjustment offers optimal clarity. The user friendly switch panel provides ultra fast and comfortable setting. The camera has slot for SD/SDHC memory card and support up to 32GB memory card for storing images and videos. 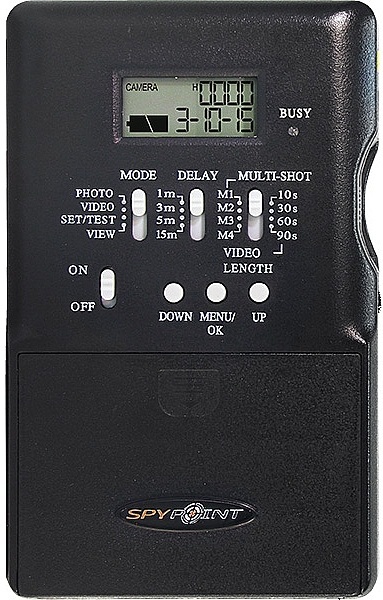 The camera can record the 640x480 pixel video from 10 to 90 sec clips. The Spypoint trial camera offers USB and TV Ports (NTSC/PAL) connectivity that facilitates the transfer of data to a computer or the images and videos can be seen on a tv screen. A user friendly switch panel offers ultra fast and comfortable setting. 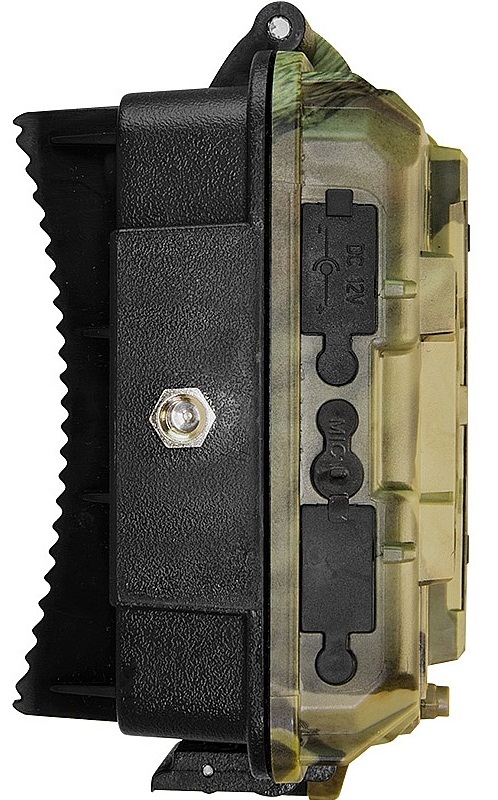 To facilitate save and optimum functioning, the Internal camera can be easily separated from outer shell. The trial camera is powered by 6 alkaline AA batteries or can be powered by a rechargeable lithium battery pack that can be ordered separately. Standard 1/4-20" tripod mount adds functionality to the camera by offering tripod attachment where ever required. The camera is lightweight, compact design makes it easy to carry and simple to install. 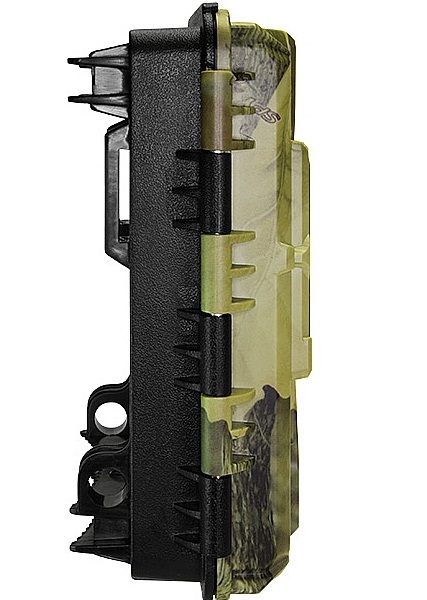 SpyPoint 9MP Iron-9 Trail Camera is available at Microglobe at discounted price. Microglobe is largest online sport optics store of the UK. 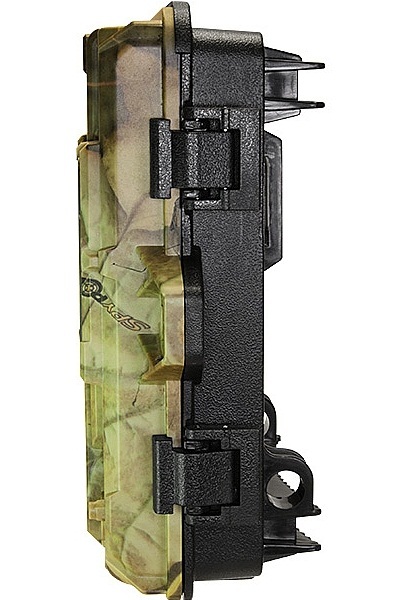 For more information about, SpyPoint 9MP Iron-9 Trail Camera website.